What is the real day to day life of a poker grinder like? It is kind of crazy that this gets discussed so rarely because what you do away from the tables is just as important as your strategy. How do you prevent tilt for instance? 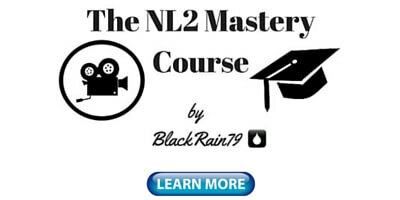 This is something that is especially important for inexperienced poker players who often suffer the most from poor emotional control at the tables. Indeed, as I have stated before, I believe that the number one bankroll killer for beginner level poker players is without a doubt, tilt. But what if we dig a little bit deeper and talk about how mood, mental and physical states can affect our play and the likelihood of tilting even before we sit down? In other words how about we look at some of the main root causes of the problem instead of looking for band aid solutions? Tilt is going to happen to us no matter what in this game from time to time but it is certainly within our control to lessen it's impact. Professional athletes have all sorts of pre-game rituals and use mental imagery techniques to get themselves prepared. Why shouldn't poker players? If you take this game seriously (and especially if it is your job) then you should be mentally and physically preparing yourself for the grind before you even sit down to play. I want to stress here that I am not a psychologist or a psychiatrist and I have a very limited academic background in the subject (a few college level courses). 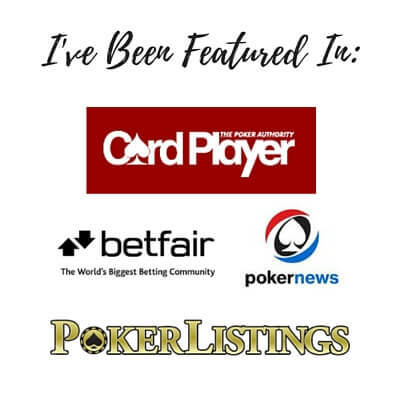 However, I have played poker professionally or semi-professionally for 10+ years now so I have had ample experience in understanding how my own physical and mental states can affect my results. What follows will be based on what I have learned in that time. Let's start with some of the more obvious stuff first. You are what you eat, literally. Everybody probably already knows this but it bears repeating here. You are going to feel way better about yourself if you choose the rice/chicken, salad and green tea rather than the big mac, fries and a coke. This is not to mention what all those extra calories are going to do to your waistline! "Bad food" is often loaded with sugar and leads to insulin spikes which can affect your mood rapidly. Healthier choices that have more actual ingredients found in nature will often have the opposite affect and provide you with a much more stable mindset. I don't want to sound like some health nut here trying to sell you on the benefits of eating right. You already know all this. Everybody does and it is a personal decision whether you heed that advice or not. However, something that I have found as it relates to poker though is that you should always eat a moderate portion before playing a session. Even if you eat healthy food, if you eat too much you will often get that lethargic and bloated feeling afterwards which is not conducive to making the quick high quality decisions that online poker demands. This is indeed a bigger problem though with a lot of high fat/high sugar "North American diet" foods that are popular today. They are extremely calorie dense and if you eat out in restaurants a lot the portion sizes are often enormous as well. It is much harder to OD on the chicken salad than a huge plate of pasta. So at the very least, if you are planning a poker session try to make sure that the meal you have beforehand is of a moderate size and of course preferably healthy. You can always snack on something during your session if you get hungry. Again preferably something healthy like apple slices and almonds. Prepare these ahead of time so that you can just grab them out of the fridge during a washroom break. Regular exercise simply helps me feel better both mentally and physically in life and improves my mindset and results at the tables immeasurably. Ask yourself this, have you ever done some strength training or fitness and said to yourself at the end, "well that sure was a waste of time!"? No of course not! You probably felt great once it was over. Those endorphins are pumping, you feel energized and proud of yourself. Sure it might have sucked during the session and you may have felt like quitting. But afterwards you always feel a natural high. And then of course there are the long term health benefits and lowering of stress levels which is what directly relates to reducing the impact of tilt. The problem for most people though is just getting started. They will procrastinate and put off going to the gym for another day. Soon enough of those "another days" pile up and they have all but quit exercising altogether. I know the feeling. We all lead busy lives and it can be so easy to make excuses and put it off. If this is a problem for you then I suggest prioritizing fitness as the first thing that you do in the morning no matter what. I have really taken to this of late myself because I have been traveling a lot and often don't have the easy access to a gym that I normally do. So in order to make sure that I stay on a regular exercise schedule I do some light strength training and go for a jog on most days as soon as I wake up. And I literally mean as soon as I wake up. I crawl out of bed and start doing some sets of pushups, tricep dips and body squats for 20-30 minutes. I then put on my running shoes and I am out the door for a 30 minute run at the beach, in a back alley, where ever. I try to do this at least 3 or 4 times a week. I should mention that I typically wake up at 6am and this is a great time to safely run anywhere even if you are in a completely foreign place. If it is raining heavily then I may just do some jumping jacks, burpees or Tae-Bo type stuff in my hotel/guesthouse room. Anything to get the heart pumping a bit. I think music is a great motivator as well so I always listen to something uplifting and inspiring like Trance. I highly recommend Armin Van Buuren's weekly show "A State of Trance." I complain vigorously to myself on most mornings both before and during these exercise sessions but I always feel like a million bucks when I am done and throughout the rest of the day. Don't allow yourself to make excuses. There is always time in every day for this crucial element in your life and poker. Start first thing in the morning before you do anything else if procrastination is a problem for you. Eventually it will become a habit and you won't even need to think about it. Everything that I have written about so far was probably a bit mundane and you have likely heard a lot of it before. However, sometimes we need to be told things again and again for them to really sink in. You should also know that nobody is perfect as regards nutrition and exercise. I regularly screw them both up myself. The important thing is to keep trying to create and maintain better habits and if you fall off the train to pick yourself back up and get on it again. Good nutrition and regular exercise will pay big dividends to your bottom line at the tables by allowing you to think more clearly and thus make better decisions. It will also greatly improve your overall mindset and lower your stress levels which is a huge key to reducing the impact of tilt. Let's move on. Understanding how your mood or mental state can affect your game before a session is something that rarely gets discussed but it is so important. Now once again I am not a trained psychologist here so I don't want to dig too deep into real mental health issues such as clinical depression. I don't really have any personal experience with this kind of major debilitating depression either. If this is something that you suffer with though, then you may want to re-evaluate how it affects your game and maybe even put poker on hold for awhile until you get control of it. For most of us though it is the more run of the mill stuff like being in a bad mood due to a stressful day or feeling mildly depressed (the normal kind that most people get from time to time) due to some life event or even just feeling lonely. These states of mind can affect your game more than you might think. We all have bad days and I know that on my bad days I am more likely to have a much shorter tilt leash than normal. Whereas it might normally take 5 or 10 bad beats/coolers in a short period to get me off my A or B game on a bad day I might be feeling tilty after just 3 of them. My overall decision making and the likelihood of making mistakes will also suffer on my bad days. So it is important to recognize your mental state or mood and address it before you even sit down to play. Just because you are a bit short of temper or mildly depressed does not mean that you need to cancel your session though. It just means that after you recognize the problem you decide to allocate 10 minutes before the start of the session to some meditation or mental imagery. Shutting the door and having a quick "time out" of simple deep breathing exercises can often dramatically improve your mood. Sit cross legged, close your eyes and start slowly breathing in deeply until your lungs are completely full. Exhale just as slowly and do this 50 times. If you would like some sort of relaxing background atmosphere while performing this calming exercise here is 2 hours of Thai Buddhist monks chanting. This simple meditation technique may seem tedious at first but you will be in a much better state of mind to play poker after doing this. It should not take more than 10 minutes of your time and you really only need to do it on those bad days where you feel a little stressed or depressed. Most professional athletes prep both physically and mentally for hours before the actual game begins. Surely you can find 10 minutes to make sure that you are in a relaxed state of mind before loading up the tables. Ideally, do this before the start of every session! This is going to be a bit of a difficult topic for me to get into because different substances affect people in different ways. However, I can discuss what works (and more importantly what doesn't work) in my experience. Let's start with everybody's favorite, alcohol! I had some nights very early on in my poker career that were either very memorable or very regrettable due to playing while inebriated. I have both won and lost several thousand dollars in one evening while playing under the influence. I am (proud to admit?) that I also won my first poker tournament while hammered even though it was only for about 1k. Overall, I may have actually been up a little bit in my playing drunk career. But it was after one final night where I had been dealing with a lengthy downswing and tilted off about 2k at 1/2 and 2/4 that I told myself that this needs to stop. Truthfully, in today's tougher games my results probably would have been much worse at these stakes while playing in this state. I simply do not play anywhere near my best if I have had one too many. I play much more aggressively than normal (although this is not always a bad thing) and tilt harder and want to jump stakes if losing. This is why when I chose to take this game seriously and make it a profession I swore off playing while drinking alcohol completely. I do not drink and play period. I do believe that there is some truth to the idea that a light buzz (one or two beers) may make some people feel more loose and possibly even play better. I choose not to go down this path at all though. Alcohol and poker can be a lethal combination for your bankroll and it is really easy to go down that slippery slope of feeling the buzz and having a few too many. I am not here to screw around in this game. I have had absolutely zero tolerance when playing poker for many, many years now. No alcohol at all. This is what works for me. I personally do not use any drugs when playing poker or at all for that matter either. I definitely don't want to come across as preachy about this topic or belittling those who do though. Many people for instance use marijuana on a regular basis because it makes them feel more relaxed. I think that if this is something that works for you then more power to you. This is something that only you can know and I don't really have much more to say on the subject. The same would go for all of those prescription based medications that are popular these days such as Ritalin for ADD. If you feel that this positively affects your concentration at the tables then I would say that it is probably a good thing then. Just be totally honest with yourself about any of these substances. 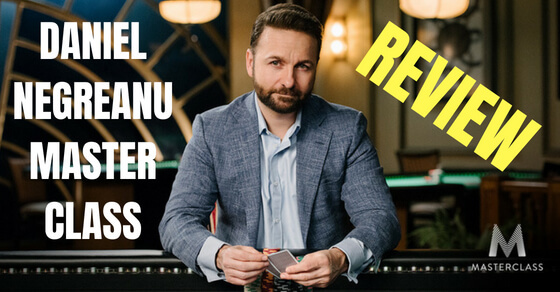 Are they +EV or -EV for you at the tables? The same can be said for energy drinks and caffeine. For me personally I rarely drink either of these while playing poker or in general. I will sometimes have a single cup of coffee in the morning but that is all. I am one of those people who gets negatively affected by too much caffeine or energy drinks in my system. However, maybe you are different and it helps you concentrate and think more clearly. Just be honest with yourself and cut them out if they are harming your game or your sleep in any way. Despite taking all of the precautions and steps above there might be some days where it is just better to simply not play poker at all. You always have to remember that the games are there around the clock 365 days a year. Taking one day, or even a few days or a week off is not that big of a deal especially if you do not play this game for a living (most of you reading this do not). It is simply more profitable sometimes to not play at all. Recognizing this is another one of those pre-game prepping skills that I talked about above. One of the most critical times when you need to be on the lookout for this is during a prolonged downswing. We are often taught to just battle through it and keep your head up during these dark hours. But truth be told, sometimes the best thing that you can do during these periods is to simply limit your play. The reason why is because even if you feel completely fine in your day to day life, these downswings have a way of eating away at us. They lead to negative feelings even before we sit down to play and fatalist and poor decision making while at the tables. Sometimes downswings can simply be so lengthy, even for a winning player, that breaking through it could take weeks or even months of big volume. There are very few players who can get in there each day during these periods and consistently keep their wits about them. They are indeed some of the biggest winners in this game. This is not a skill that can be learned over night though. It takes years and years of practice and a deep understanding of the long run nature of this game. This is why it is often better for newer players at the micros to simply take some time off when things have been going poorly for a long period of time. This will allow your mind to get away from the game for a bit and stop the negative thoughts and feelings that can have a devastating impact on your play. If you don't want to get away from the game completely then instead of playing you could choose to conduct a thorough session review or database review. Often I make my biggest breakthroughs during these periods and I come away feeling much better and ready to go the next day. Another time when it is sometimes better not to play at all is when you are really tired. We all lead hectic lives and sometimes you are simply exhausted when it comes time to play your session especially if you typically play at night. Sometimes the wiser decision may be to take the night off and perhaps watch a training video or read a poker book instead. Again, the games will always be there tomorrow. This is about not knowingly sitting down to play when you know that you are only capable of playing your B or C game at best. But more often than not being tired is simply due to a lack of sleep. A lot of people suffer from insomnia these days. I get it from time to time myself. It is important to know that you will not be capable of playing your best on 4 hours sleep. And no amount of caffeine or energy drinks will fix this either. Once again, the games will always be there tomorrow. 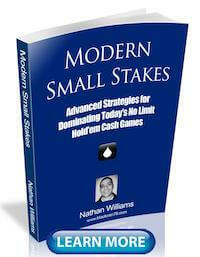 Use this opportunity to study the game or even just read something totally unrelated to poker. Reading a good book is the best cure that I have ever found for insomnia. Lastly, we will all go through some difficult setbacks in life such as the death of a close family member or a divorce. It is definitely advisable that you limit your play during these periods or even stop for awhile altogether. You will be too distracted and emotional during these periods to play your best. Poker is just a game. There are much more important things in life. I hope that this article proved useful to some of you out there. You really get what you put into this game and it often goes well beyond your actual play at the tables these days. And most of your opponents at the micros these days have an absolutely terrible approach to the mental game (i.e., they just sit down and play whenever they feel like it and sometimes tilt off a few stacks when things go bad). Oh well right? If you take this game seriously and you want to get ahead then you need to start understanding that your mental and physical state are just as important as how well you play AK in 3Bet pots. In fact arguably much more important. People always think that the biggest winners have this secret technical knowledge or mathematical formula that allows them to win so much. No. What they actually have is an ability to be on their A or at least B game literally all of the time when most others coast along on their B or C game and dip into D, E or F when things don't go well. At the micros you can often succeed by simply not making the same tilt inspired mistakes that the vast majority of your opponents make on a regular basis. This starts before you sit down at the table and fits into an overall positive approach to life. From the very basics of eating the right foods and getting regular exercise to recognizing your mental state before sitting down and perhaps meditating for a little while in order to focus your thoughts and release all negative energy. And sometimes it involves simply having the wherewithal to recognize when you are too tired, inebriated or in too poor of a mental space to play. Simply keeping yourself from playing the game during these times alone can have a big positive impact on your winrate. 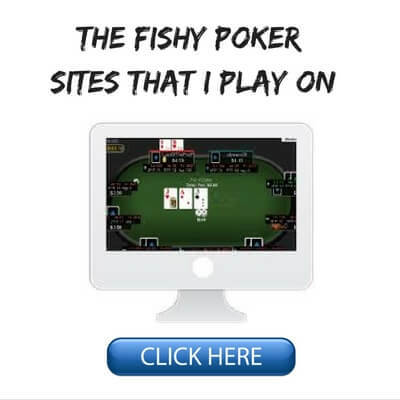 In today's tougher online poker environment you need to approach this game like a professional more than ever if you want to get great results. Most people focus almost all of their energy on getting technically better at the game when at least half the battle simply revolves around being mentally stronger than your opponents on a consistent basis. By focusing some real attention on this aspect of your game for awhile you might be surprised at how much it can affect your results at the tables. 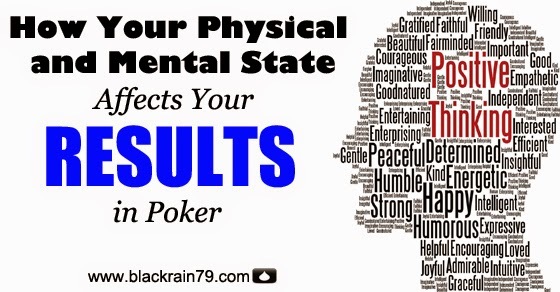 Let me know your thoughts below on how you think your mood and mental and physical states affect your play at the tables. If you enjoyed this article please "Like" or "Tweet" it below! You've probably mentioned him before... Tommy Angelo's "Elements of Poker" helped me the most with respect to the general topic of improving ones results for the least effort: "Whenever you lop off some C-game, you increase the percentage of time you spend playing your A-game. This means that the work you put into your A-game will pay a higher return by being put into play more often"
Yup, Tommy Angelo's EOP helped me tremendously as well. I loved his insights into the mental side of the game. I still think about his mining reciprocal gold idea which I actually thought about mentioning in this article because that is what it is all about. Our opponents at the micros are paying little to no attention to the mental game so by improving we gain to a huge degree. Whereas, most people are spending their time studying the technical side so by improving in this area we only gain slightly on our opponents. It is definitely a good tip thanks for the input. Very good post. 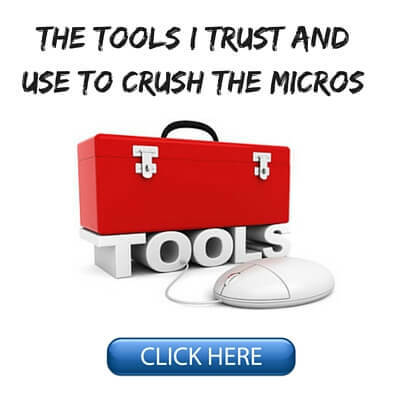 Imo, if you have above average control of your mind plus a basic knowledge of strategy and some practice, you will have no problem becoming a winning player at the micros (or even lower small stakes). Alcohol in small amounts is ok. What worked good for me is caffeine and also Kratom. Kratom (which is legal in almost all Western countries, especially in Europe) gave me good concentration and alertness. Multitabling was no problem. I also tried Modafinil, which is a well known performance-enhancing drug. Modafinil can help you read and work for hours while having tremendous energy and focus. You can also have great physical workouts on it. However, I made quite bad experiences with it while multitabling 6max NL. I wasn't really able to jump from table to table and make quick and good decisions and I also mostly played to passively on it. Modafinil can be good when you are playing big tournaments where you have a lot of time to think thoroughly through the action for many hours. Thanks Micha and I appreciate your insights as well. I completely agree with what you said at the top "if you have above average control of your mind plus a basic knowledge of strategy and some practice, you will have no problem becoming a winning player at the micros." 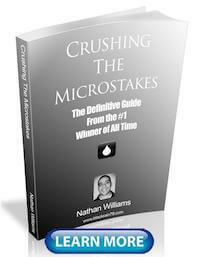 Great article Nathan! The mental part of the game is becoming one very important part of the game and we tend to not think about it enough. I think is time to re read The Mental Game of Poker part 1 and 2 again (very interesting books to be honest). On the exercising part I'd recommend to have a good breakfast before starting the workout as in sometimes exercising on an empty stomach can be very bad for your overall performance. Thanks Jorge! And ya, you might be right. I used to always have a good breakfast first. But I love the early morning workouts and jog also. Thanks for the article Nathan! My lifestyle has been terrible recently but up until now i've kinda just shrugged it off, not realising just how big an impact it might have on my game. I've been missing sleep with late nights, eating junk food and skipping my gym sessions. Now after reading this article I'm wondering if perhaps this could be the underlying cause of why i have been losing quite a bit recently. Once again, thanks for drawing my attention to this aspect of the game! Thanks Tom! There isn't necessarily a connection between the two but eating better and exercising more will certainly never hurt your results. I go through bad periods sometimes myself. Just try to ease your way into improving your lifestyle again. 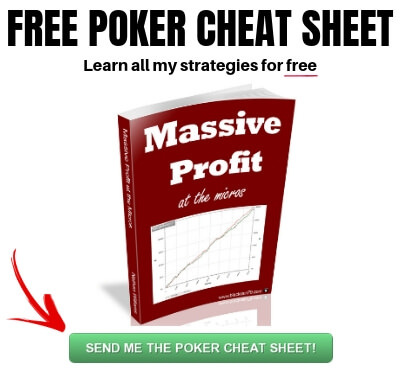 That was one the best poker articles I've ever read. Thank you Blackrain! Wow, that is high praise. Thank you so much Derek! 1) In the 'Raising Draws' sub-section under the 'Some General Rules' section, you advocate raising an SLP's 1/2 pot bet with us holding ATs on a 6s92s flop from MP after raising pre-flop and getting called by the SLP in SB. However, in a previous sub-section called 'No Pair Hands' under the section 'Hand Strengths', you give an example of how a hand like AKs on a 34s5s flop can in no way be a winning hand in the long term. Both these flops seem to me to give us a draw and hit the opponent's range. What's the difference between these two hands? What am I missing here? 2) In the cbetting 60% section, you say you will also cbet on the smaller side in 3bet pots when you miss due to the lower SPR. I know what the term stands for, but only gathered that a lower SPR favors the less-skilled player from your earlier section, and didn't really understand this part about cbetting small in 3bet spots. Could you elaborate? 3) In the same cbetting 60% section, you give an example of cbetting 33 IP on a 6s8s9 flop. This seems to me like it's a very wet and coordinated flop, doesn't hit our perceived range, and hits theirs. The only thing going for us is our position. I'm trying to understand why this is a good cbet? Thanks for the great book dude, it's one of a kind, I feel armed for NL2, and you're awesome. Hey Ajgar, glad to hear that my book helped! 1. I just re-read that section and I suggest just the opposite. While you will not generally win in the long term with most no-pair hands I use that AKs example to show that a monster draw like that is an exception. Furthermore, when raising we also give ourselves fold equity by making our opponent give up. This is another reason why raising big draws is profitable. 2. In 3Bet pots the stacks are shallower and most micro stakes players know that if they call the flop then they better be willing to play a big pot. Therefore, they will play more fit or fold and the CBet sizing is not as important as in a single raised pot. So we may as well make it on the smaller side. 3. I don't suggest that this is in anyway a "good" CBet. It is just one of those cases where it is probably slightly better than giving up which I probably would do against a bad player OOP on this board. When I say to CBet roughly 75% of the time this doesn't mean that all of them are a slam dunk huge profit. This is one of those cases where it is very narrowly profitable.